Consumers expect fail-safe products, so isn’t it time to get up to speed on optimizing product performance? The most valued engineers know how to innovate, explore, and optimize in their design space to create better performing products. This gives us as engineers a great responsibility in the product design process. In the end, however, when a product succeeds, it is the engineer that can take pride in making the biggest impact. The true innovation of a product lies not in the marketing team or the visionary genius of the concept, but in the hands of the engineers working to bring something new into fruition. When we embrace the idea that most of the potential for future product success lies on our shoulders as engineers or product designers, we can begin to grasp our potential for making an impact. If we seek to refine our ability to continuously improve product design, we have to seek out tools that can make our job easier while maximizing our engineering capacity - tools like, but not limited to, simulation and generative design. By leveraging our ability to impact designs on these tools’ ability to impact our workflow, we can see greater gains at the end of the design process. While grasping new tools is important, everything begins with our willingness to explore the design space and examine just what we can influence. When a project comes in, we are met with specifications that can be daunting or sometimes extraneous. Sorting through constraints and developing a plan of attack is usually our first task as we move deeper into the design process. As we go about developing this plan, we have to make sure that we explore the design space thoroughly. The worst thing that we can do is lock into a design too early and hinder our ability to innovate down the line. Our ability to innovate is ultimately our ability to create a better product. To counteract this often persistent urge of premature decision, we have to explore both horizontally and vertically throughout every step of the design process. If we utilize the right tools and allow for freedom of design, we can create better designs. These better designs result in products that exceed expectations with greater efficiency, longevity, and performance. Our impact on product design is already significant, but we can garner more significance to a product’s success if we simply allow ourselves. It may not seem like innovation is necessary in your everyday tasks, but larger product innovations begin with smaller permutations in our workflow as we explore the design space. As we seek to understand this, let’s look at some innovations that all began with people just like ourselves: mechanical engineers. Elon Musk recently unveiled Tesla’s newest product - solar roof tiles. These tiles bring solar roofing into a realm that is much more practical. Engineers behind the product were faced with an interesting challenge: taking ordinary solar panels and incorporating them into a shingle-like roofing material. By incorporating the technology of solar panels into a form of roofing material, engineers at Tesla essentially merged the two separate industries of solar panels and roofing into one. What is more impressive than just creating the technology is the costs at which it was able to be created. Coming in at just $21.85 per square foot, the roofing is more expensive than normal roofing material, but the cost savings of the solar energy generated pays entirely for the cost in most situations. To put that in perspective, normal shingle roofing tends to be in the $4 to $8 per square foot range, but slate style roofing can reach into the high teens. According to most experts, at an estimated cost per square foot of Tesla’s roof leveraged with energy savings and tax credits, Tesla’s solar roof could make most homeowners money over the life of the roof. This huge innovation was brought about by mechanical engineers at the heart of Tesla exploring design options. The mechanical engineers had to design an entirely new methodology around the product and create a new manufacturing technique. Innovation only occurred at the hands of these mechanical engineers, and they had to innovate their design workflow as well. The real success of the Tesla solar roof stems back to the engineers’ abilities to explore their design space and utilize the tools they had available to them. Dyson has made engineering and product design the focus of their marketing. This focus on engineering has allowed the company to win countless design and engineering awards for their work. While their products don’t represent massive leaps forward in their respective industries, they represent small innovations made continuously, which sets them apart. When examining the engineering innovation that has occurred at Dyson, it becomes easy to see the methodology they have kept in their workflows. By taking a product and innovating upon its existing platform and improving the design, Dyson has set themselves apart by presenting the best engineered products such as vacuums and fans. Without mechanical engineers on the Dyson team, you would be left with a good-looking product that doesn’t function. 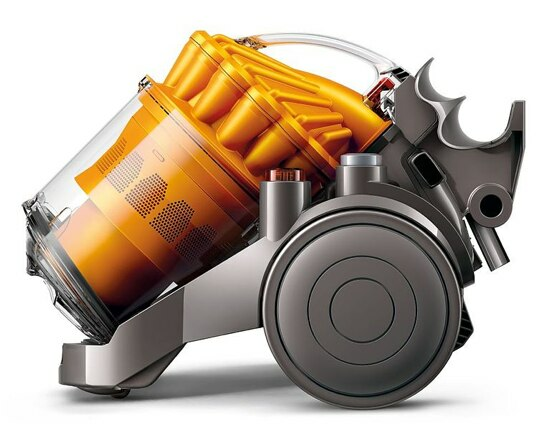 Exploring this marketing leverage on good engineering at Dyson even further, we can see another impact mechanical engineers can have on end products. When we do our job to the best of our ability, we make the product marketing team’s job even easier. While most engineers probably don’t care about making marketers’ jobs easier, it only means that the end product can achieve greater innovative success. By practicing innovation at the ground floor of our design process, as a product works its way through production and sales, our initial input gets compounded by other departments. Innovation at the beginning of a product's lifecycle by engineers amplifies the overall innovative capabilities of the product. This exponential impact means that a small investment on our end can have radical shifts on a product as a whole. In Dyson’s case, engineering innovation allowed for industry success. Through our examination of the innovation at Tesla and Dyson, we can begin to see how important engineers are in product design. Our impact as engineers is essential to the success of a product. We see that we can leverage our impact on cutting edge tools, but these tools almost always require an upfront investment of time or necessitate change. For the engineer who isn't being asked to change their workflow and who doesn’t see the direct benefits of innovation, it can be hard to understand why design space exploration is beneficial. Understanding our impact and wanting to increase what impact we can have goes much further than just creating better products. What if Dyson’s products weren’t as good? What if Tesla’s roof tiles were incredibly expensive? Why does end product performance matter? All of these innovative successes tie directly back into what we do as mechanical engineers. If engineers weren’t improving and designing in these companies, their products wouldn’t be the best. As a result of the products being the best in their industry, the engineers reap the benefits of the success through acclaim and ability. As an engineer yourself, you likely look upon the small or large advances made by companies in their products and recognize the skill of the engineers that made it happen. It all stems back to the engineer. Utilizing the best tools out there, from simulation to generative design, almost invariably results in the best products out there. Innovating in our design space almost constantly results in innovation in the end product. The success achieved by the product depends profoundly on our ability to engineer. Better performing products are the direct result of engineers innovating, exploring, and optimizing in their design space. As an engineer, product performance success rests largely on your shoulders. How can you broaden your engineering horizons to design better performing products?